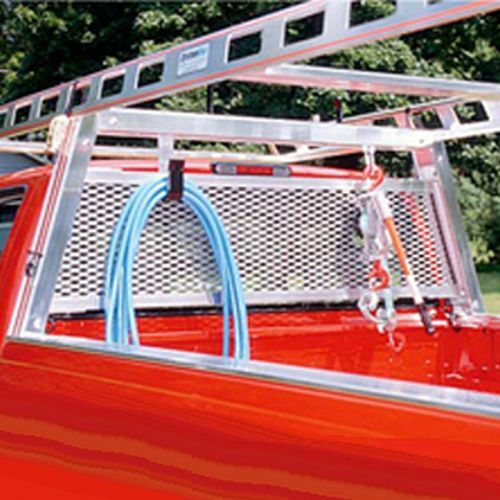 The System One ak6 Sliding Cargo Anchors are extremely versatile anchor points which can be positioned in any T-slot on your System One I.T.S. Pickup Truck Rack. The System One Cargo Anchors are made of aluminum, are 4 inches long, and have a smooth 1 inch hole for fastening hooks or tying ropes. 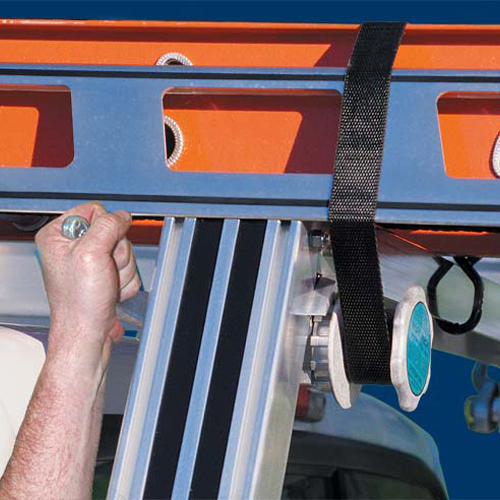 System One Cargo Anchors are designed with an inverted "T" shape in the bottom of the anchor which slides into and along the T-slots in the legs, cross members and bed rails of your System One I.T.S. Pickup Truck Rack. 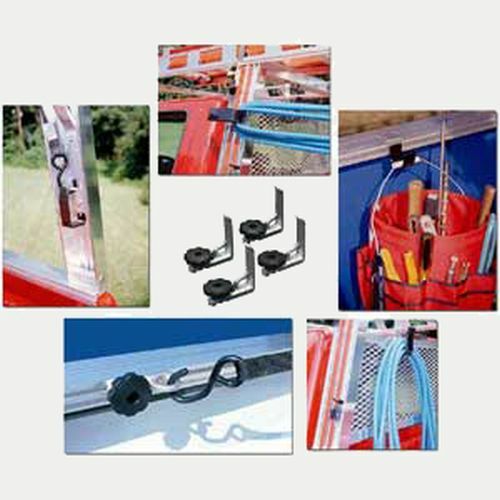 A stainless steel carriage bolt and a fastening knob with a brass insert tightens the System One Sliding Cargo Anchor to the T-slot. 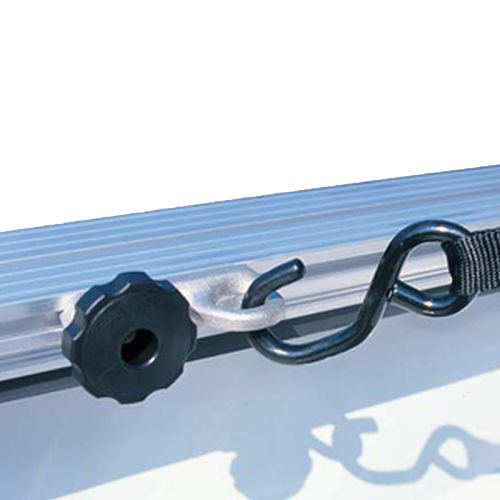 Cargo Anchors are most commonly used on the pickup track bed rails or legs to help anchor or tie-off items. 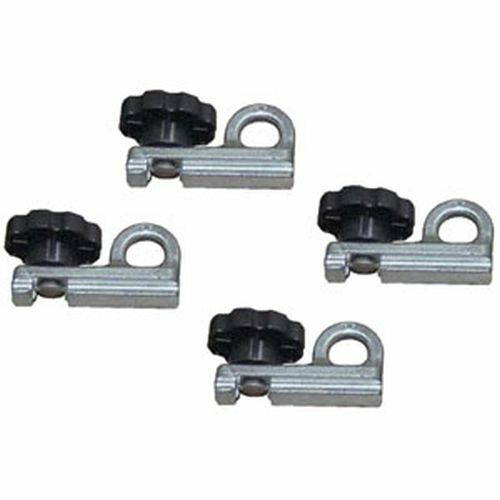 The System One Sliding Cargo Anchors are sold in sets of 4.